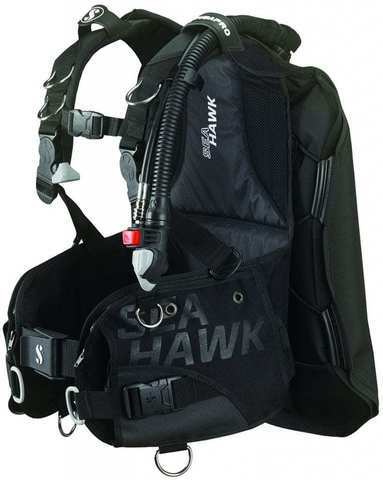 The Scubapro Seahawk 2 is a new and improved version of the old Seahawk for 2019. The popular multifunctional BCD distinguishes itself from other BCDs with its new ergonomic design of the shoulder straps with swivel buckles. Together with its soft yet strengthened backpack, the Seahawk 2 is much lighter than its predecessor and is the BCD easy to fold and pack. 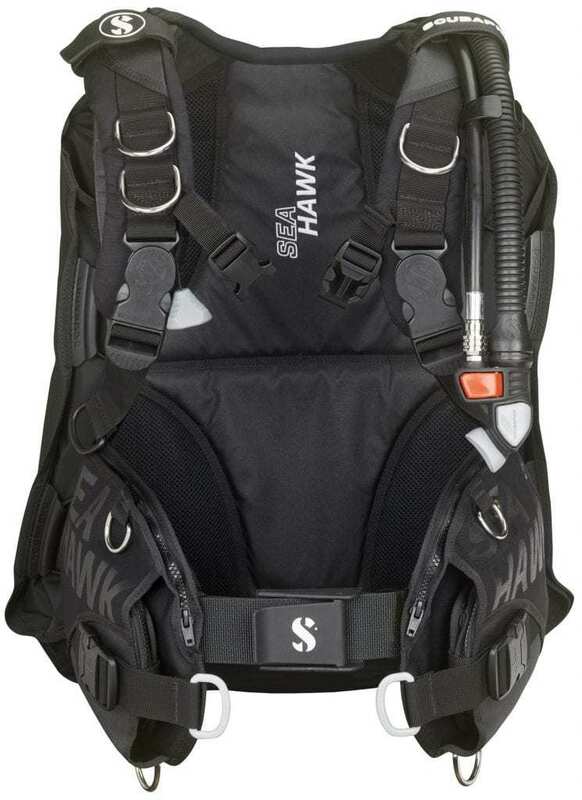 The Super Cinch cylinder strap with rvs buckle is a bit lower than before and has an extra velcro strap to keep the tank better in place during the dive. Other new features are a 50mm broad stomach strap with lightweight buckle, new cargo pockets and new valves. The new Seahawk is streamlined and offers incredible buoyancy when needed. It's the perfect choice for divers who want freedom of movement, comfort and stability.